On March 29, 1882, the Knights of Columbus received official recognition as a fraternal benefit society. Now, 135 years later, the Knights of Columbus remembers the lasting impact its founder, Venerable Father Michael McGivney, has made on countless men, women and children helped by the Order. Today, as we remember Father McGivney’s legacy with Founder’s Day celebrations throughout the world, we invite you to join the Father Michael J. McGivney Guild. The intentions of guild members are included in weekly Masses, periodic special Masses and novenas. Members also receive a regular newsletter and more. To join the guild, visit fathermcgivney.org. 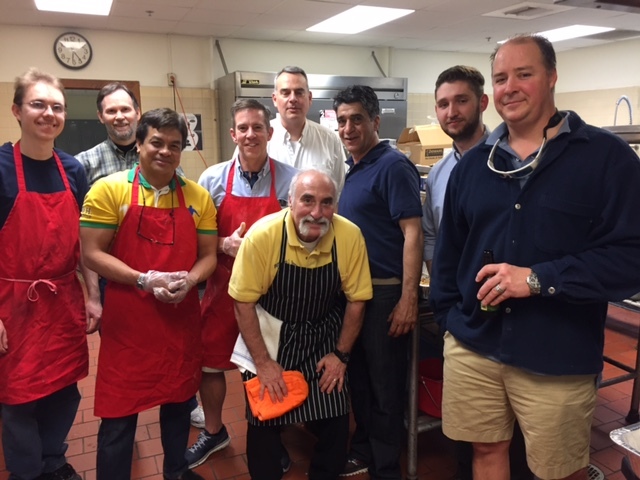 2017 Fish Fry Event Photos to celebrate the success we enjoyed raising funds for the Knights of Columbus Scholarship Fund. 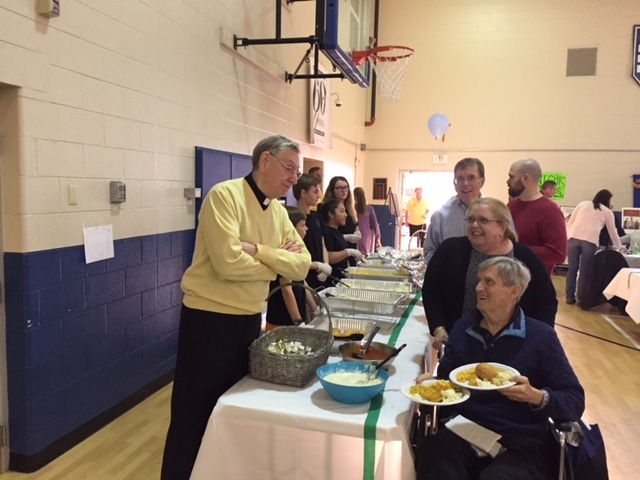 Special thanks to John McCulla for organizing another excellent parish celebration, dinner and drinks! Thank you to all of the volunteers who helped make this a memorable festivity!!! Two very successful week end events! Congratulations to Sir Knight Gary Port and Sir Knight Bruce Slough for leading two very successful week end events! Membership Director Gary Port worked every Mass over the week end promoting the Knights, and we now have 6 new form 100’s to process…..We are hosting a 1st Degree Exemplification on Wednesday April 19th, and we hope that they will all become Knights that evening….thanks for your leadership, Gary. 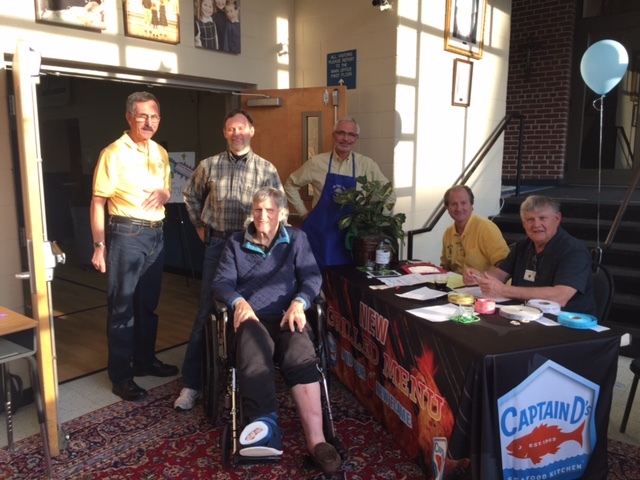 In addition, KOVAR Co-Chair Bruce Slough led a bunch of volunteers raising over $550 at the Masses over the week end….the yellow vests and our volunteers were very prominent at all Masses over the week end! Thanks Bruce! And a “shout out” to all of the many volunteers who helped make these efforts successful! 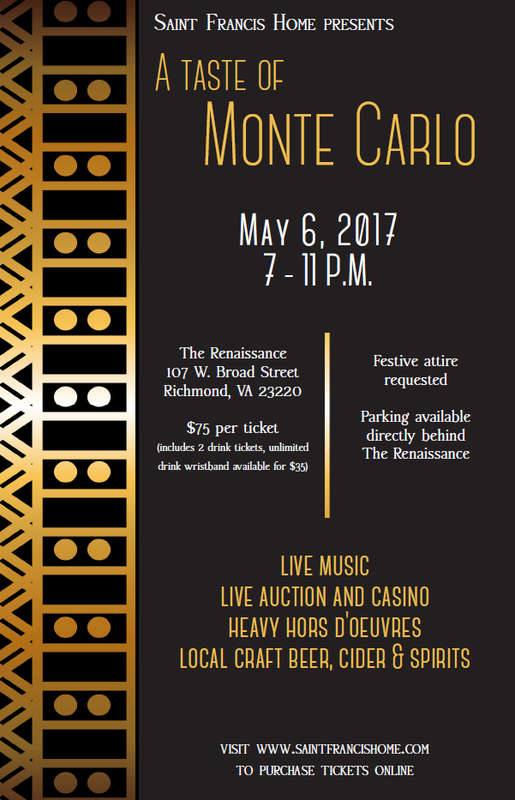 Please join St Francis Home for our 2nd annual Taste of Monte Carlo charity event to be held Saturday, May 6th at The Renaissance, 107 W. Broad Street, RVA 23220. 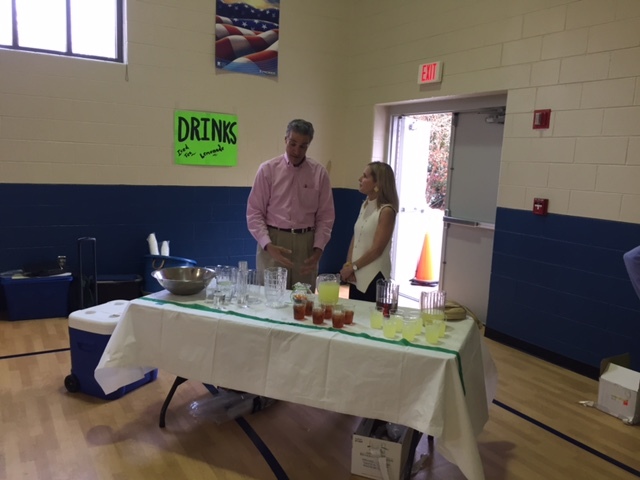 The event will begin at 7:00 pm where guests will register and sample local craft beer from 4 breweries, Busky Cider and vodka and gin from James River Distillery. All guests receive a sample glass souvenir. At 8:00pm a live auction will be held to help raise funds for our resident care and programs offered to support our elderly and disabled seniors. At 8:30 the casino opens and you’ll enjoy live music from The Crain Brothers. Dance and gamble the night away until 11:00pm. Please help support our residents with little or no financial means. There are still opportunities for sponsorship! Please contact Pam Embrey at pembrey@saintfrancishome.com or call her at 804-237-5602 with any questions or desire to become a sponsor. God Bless! Please help the KOVAR effort this weekend by responding no later than tomorrow (Wednesday) with which Mass you can help. This is an easy 20-30 minutes, wearing the KOVAR apron and holding the collection bucket. We wish to have at least three Knights for each Mass, per the attached sign up sheet. Please note, the off site solicitation locations and dates are still pending. 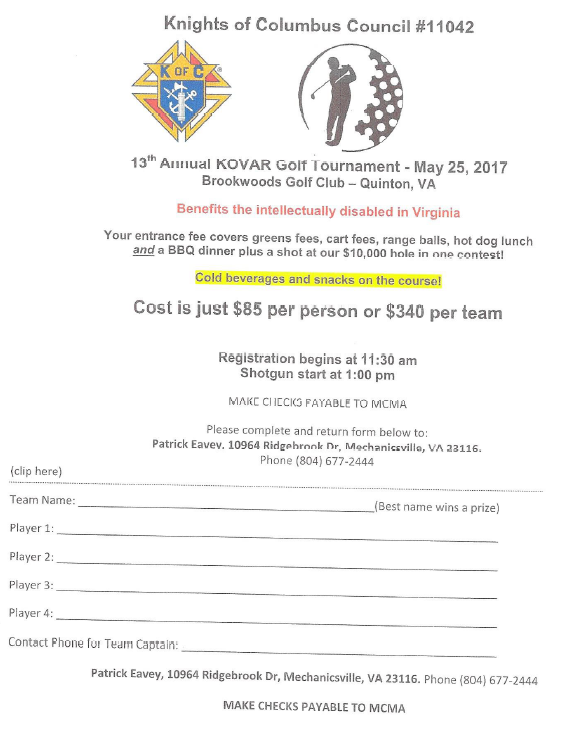 Remember, you will have an impact on the lives of Virginians with intellectual disabilities through this Knights charity that helps provide training and assistance. Please go to the Web site, www.kovarva.org, and please ‘like’ KOVAR on Facebook. We do have a busy weekend ahead of with our Knight’s activities. 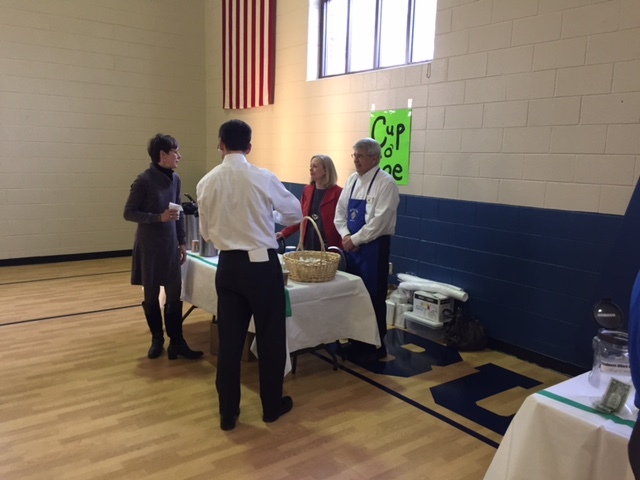 We have our annual fund raiser KOVAR – We will solicit donations at our church doors and at Libbie Market this Saturday and Sunday. Brother Bruce Slough is the Chair. Our Supreme Council has designated March as Membership Recruitment Month. 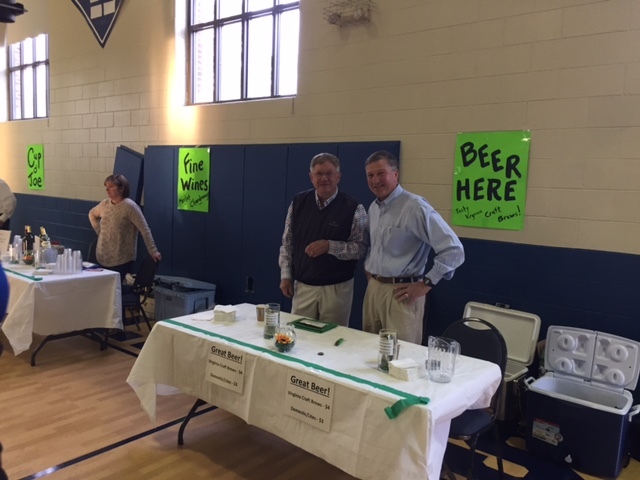 This weekend our Grand Knight Rick Witty and Deputy Grand Knight Bart Leahey will be at the podium at each of this weekend’s Masses to promote the Knights. Our parishioners will be encouraged to stop by our table after each mass to meet us and learn more about the Knights of Columbus. This month ….please make an extra effort to talk to our parishioner gentlemen and encourage them to join our Order. I will have this table set up Saturday afternoon. Pleases review the current Membership Recruitment Table Sign Up Sheet. For those of you who have signed up thus far, thank you! 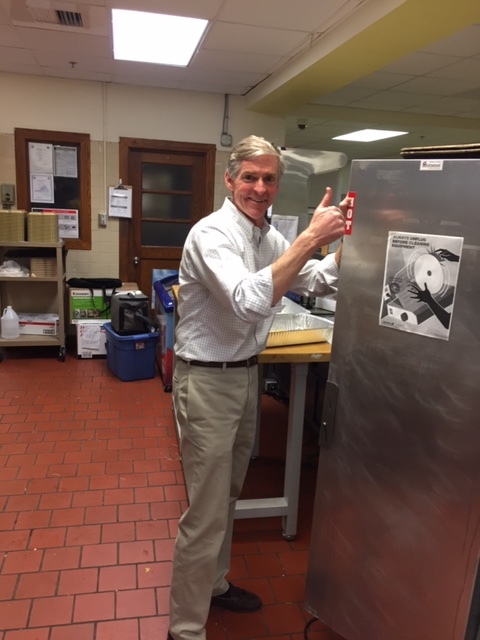 We could use a few of you to help me and others assist after the Saturday 5:30 PM Mass and after the Sunday 9:00 AM Mass. Please get back with me to sign up. Those brothers who have or will sign up please wear your council shirt and/or your Council Badge. Happy St. Patrick’s Day, Tom! 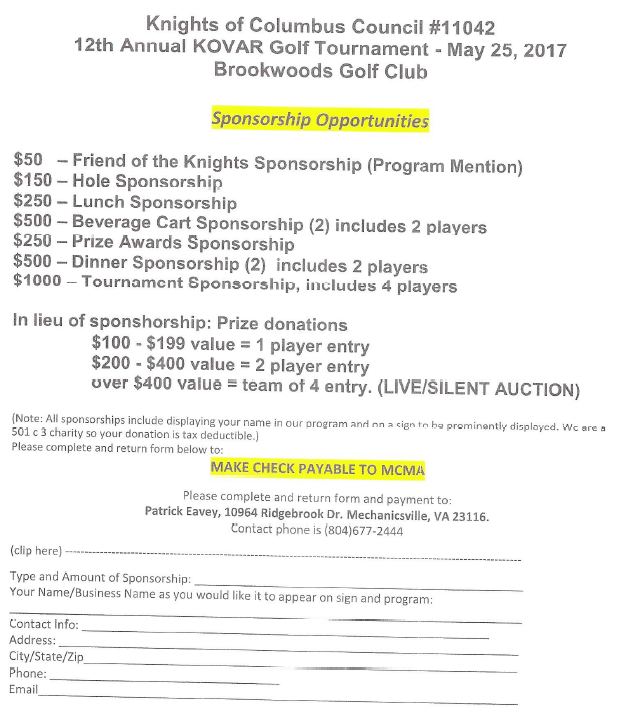 Attached is information about a golf tournament hosted by Albert E. Chipman Council #11042 in Mechanicsville. 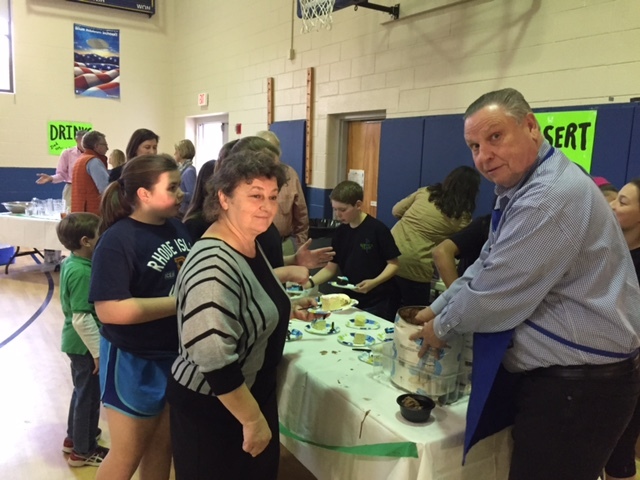 This annual event helps them reach their KOVAR goal. Please distribute this to your assigned councils. I have already asked for it to be published in the Council 395 newsletter. One final reminder of an upcoming 3rd Degree in our area. District 8 will host a Knighthood (3rd) Degree Exemplification on Monday, March 27, 2017 at Bishop Ireton Council 6189. The Exemplification will take place at the Bishop Ireton Center located at 3300 Old Courthouse Road, North Chesterfield VA 23236 and begin promptly at 7:00 p.m. Candidates should arrive between 6:15 and 6:30 p.m. with their current 2nd Degree membership card. Attire for the ceremony is coat and tie. For those who have not attained full knighthood this is an excellent opportunity. Any 2nd Degree Knight wishing to advance please let me know ASAP so I can let the degree team know. 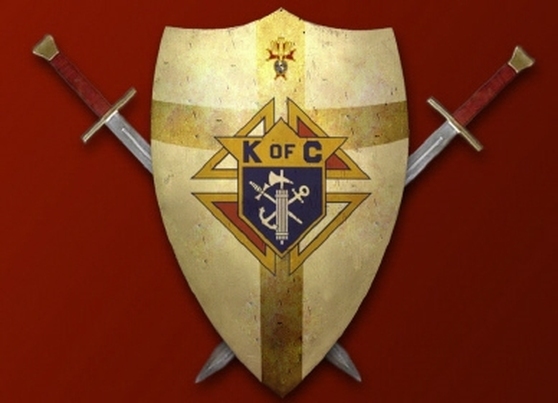 Also, any 3rd or 4th Degree Knights wishing to attend as an observer please let me know as well. For those of you who have attained the 3rd Degree, there is a 4th Degree coming up April 1st, 2017. The event will be held in Manassas and is only a one day event. So for those of you considering the 4th Degree, this would be a great opportunity. If interested please contact me ASAP.